Five oil-state senators are putting the pressure on Andrew Wheeler, the man nominated to permanently replace Scott Pruitt as Administrator of the Environmental Protection Agency. Oklahoma Senators are not a part of the move. Instead five Republican Senators, Ted Cruz of Texas, Pat Toomey of Pennsylvania, Bill Cassidy of Louisiana, John Neely Kennedy of Louisiana and Mike Lee of Utah are demanding that Wheeler ease the requirements under the Renewable Fuel Standard. Otherwise, the five warned Wheeler in a letter “we will have serous concerns with your nomination,” according to Bloomberg News. No comment from U.S. Sens. Jim Inhofe and James Lankford and it might have something to do with Inhofe’s long-time relationship with Wheeler. 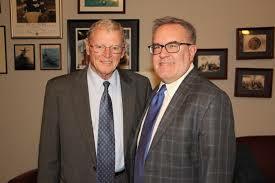 Inhofe considers him a friend after Wheeler worked in his office and helped administer the Republican side of the Senate Energy and Public Works Committee when Inhofe was chairman. The challenge by the 5 other Senators is led by Ted Cruz of Texas and the senators laid out a raft of concerns with the Renewable Fuel Standard that mandates biofuel use, a top target for oil refiners in their home states. 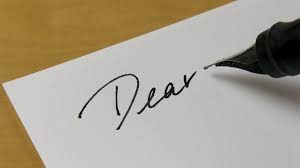 “As we continue to evaluate your nomination to be administrator, it is important that we have a better understanding of your views and approach to administering the RFS and the agency actions you believe could alleviate costs,” the senators told Wheeler in the letter, which was dated Feb. 11 and obtained by Bloomberg. Wheeler, who has been leading the EPA on an acting basis since last July, is waiting for a full Senate confirmation vote to be the agency’s administrator. Although the five senators stopped short of an explicit threat to vote against Wheeler, the loss of their votes could tip the balance given the Republicans’ narrow majority and widespread Democratic opposition to his nomination. The move underscores the political perils surrounding the U.S. biofuel mandate, which pits oil refiners against producers of corn-based ethanol. The strategy mirrors one successfully employed by corn-state lawmakers in 2017 over another EPA nominee. At the time, Senator Joni Ernst, an Iowa Republican, wouldn’t commit to backing Bill Wehrum to lead the EPA air office that administers the renewable fuel mandate, unless the administration backed off from possible changes to the program. This time, senators with home-state oil interests have asked Wheeler if the EPA will alter biofuel blending targets as part of a broad upcoming “reset” of the RFS program. They also asked Wheeler to agree that under a recent court ruling, the EPA isn’t required to redistribute waived biofuel quotas to non-exempted refineries. Oil industry leaders have argued against any such reallocation, arguing it would be illegal and would unfairly penalize refineries that are complying with biofuel requirements. Compliance with annual biofuel quotas is tracked through tradable credits known as Renewable Identification Numbers, or RINs. Refiners have warned about financial hardship whenever RIN prices spike, and Cruz has pushed the EPA to rein in those costs. Prices for those credits have tumbled under Trump, as the administration held a series of meetings aimed at brokering a biofuel policy deal between oil and agricultural interests. Last fall, Trump ordered the EPA to allow year-round sales of higher blends of ethanol, and as part of that effort, the agency is drafting plans to boost RIN trading transparency. RINs cost more than 90 cents when Trump was elected in November 2016. A RIN tracking 2019 ethanol consumption targets cost 20.5 cents as of Tuesday, according to data compiled by Bloomberg.